This city is full of great chefs. Most labor in relative obscurity, but possess enough talent, skill and discipline to rival the country’s most celebrated chefs. These unsung cooks are our friends and colleagues, and we want to showcase their food. 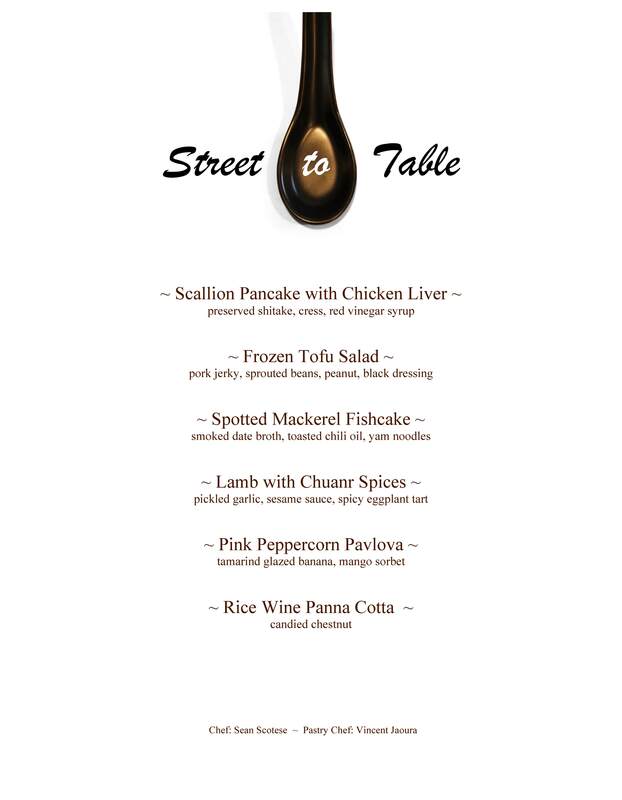 To that end, we’re hosting the Street-to-Table Dinner Series, featuring Chef Sean Scotese. DessertTruck’s very own Chef Vincent Jaoura will craft the desserts. The first dinner will take place on Feb. 23rd at DessertTruck Works. The menu will be 6 courses for $65, including 3 wine pairings. For more info on this series and to reserve your spot at the table, please visit checkout.desserttruck.com. Click the image below to see the full menu.